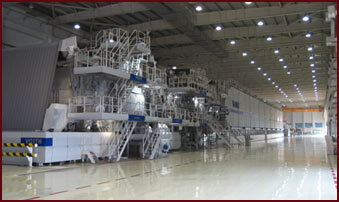 Huatai USA LLC is a subsidiary of Shandong Huatai Paper Group, a global market leader in recycling paper. Huatai USA is a subsidiary of Shandong Huatai Paper Group, a global market leader in recycling paper and one of the largest consumers of recovered fiber in Asia. Huatai USA sources waste paper for its partner’s mills in China and markets finished paper goods manufactured by Huatai China. These paper goods include newsprint, coated papers, copy paper, board, and tissue. The partnership with Shandong Huatai Paper Group creates a competitive solution for selling recycled fiber to China and importing paper products from China. This partnership allows the customer and supplier to deal directly with China, with the ease of a domestic transaction. As its initial footprint in the USA market, Shandong Huatai plans to strengthen its relationships with existing suppliers and customers, as well as develop new relationships along the way. Copyright 2007 © Huatai USA LLC, all rights reserved.